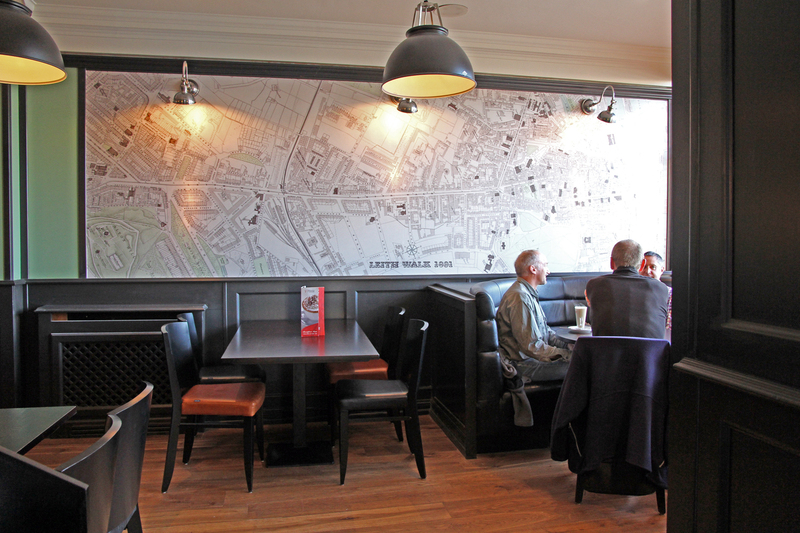 We sourced an original 1891 Map of Leith Walk showing the building shortly after it was built; this was printed in one piece onto a varnished canvas substrate and installed by our specialised team. Using our specialised contacts we were able to get some of the clients old and damaged photos restored and printed, these show the family and previous interiors of this well known and respected restaurant. All together the newly refurbished restaurant retains it's heritage and Crolla family connections but also reflects the more contempoorary Vittoria brand and values.